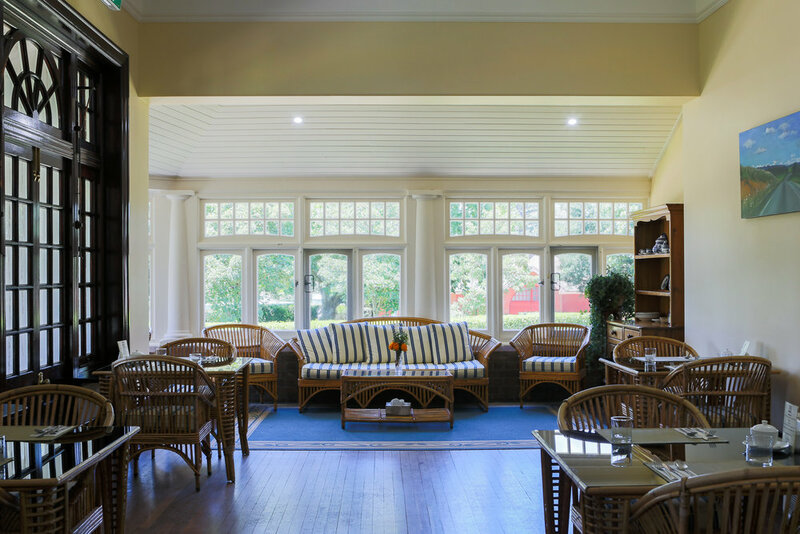 Located at the award winning Peterson’s Armidale Winery, the guesthouse defines New England's finest boutique getaway, offering seven elegant rooms with king sized beds, antique furniture, ensuites and other contemporary touches to ensure your stay is perfect. Luxurious full sized spa baths or clawfoot baths are available in 5 suites and each ensuite bathroom features underfloor heating. From the moment you arrive, our staff will offer a friendly but unobtrusive service, ensuring that you can relax and fully enjoy your experience. Once you have settled in to your spacious accommodation, take a walk down to our cellar door for a complimentary wine tasting where you can pick the wines you might like to enjoy with dinner. Afterwards, stroll through the extensive grounds and stretch your legs on a lap of the vineyard. Enjoy a pre-dinner drink - either amongst the heritage listed gardens in warmer months, or in front of the fire in our great hall in the winter. Dinner is on site, in a stunning dining room serving delicious meals from a daily changing menu featuring local ingredients. Sip on a complimentary port or muscat after dinner before retiring to the comfort of your room. All rooms include a complimentary country breakfast, cooked fresh to order. Its life's little finer touches that we like to think we can offer, meeting your expectations, away from the hustle and bustle of everyday life. We look forward to welcoming you as our guests.